Don't miss all the fun! 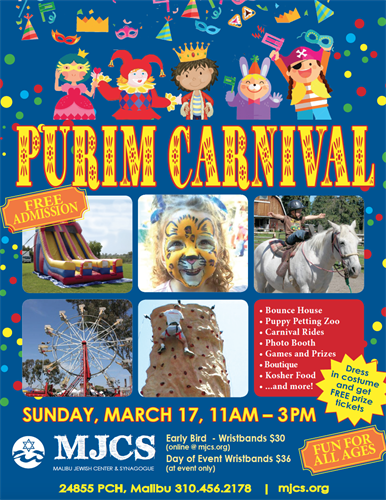 Join MJCS for their annual Purim Carnival. Rides, games, pony rides, puppy petting zoo, boutique, food and more!